We’re starting to get to the point of no return with Christmas shopping. If you haven’t done the bulk of it by now, you’re probably going to struggle. 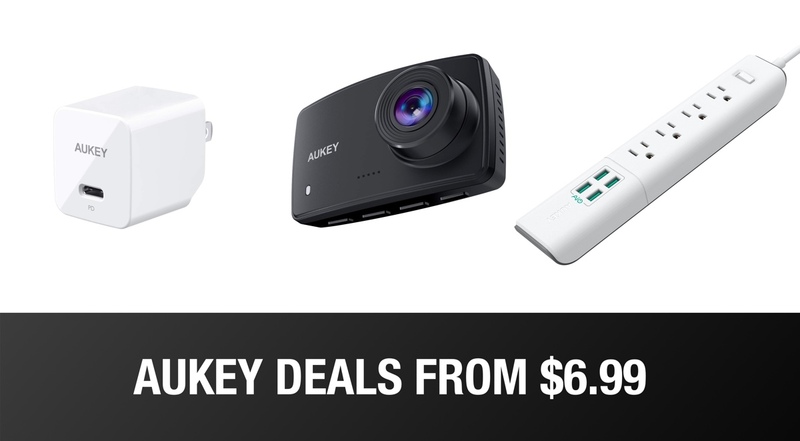 But that doesn’t mean that you have to pay more than you need to, and the folks at AUKEY have your back thanks to a raft of deals they are currently offering, all getting you some great cables, dash cams, and wireless chargers at heavily discounted prices. Whether your shopping list has a new USB-C hub or a wireless charger on it, these deals are for you. Some of our favorite accessories have the AUKEY name on them, and we’re sure you’ll love anything you pick up here today as much as we do. With very reasonable prices even before the discounts are applied, it’s difficult to find better quality or lower prices than those offered up by AUKEY. There’s a lot to get through here so we’re just going to lay it all out for you. If you do take advantage of one of these deals, remember to enter the relevant discount code to get your saving. You don’t want to miss out!